Kids would love this delicious and calcium rich laddu. 1. Dry roast the ragi flour and remove. 2. Add the almonds, peanuts, sesame seeds, raisins and coconut. 3. Dry roast for a minute and then grind to a coarse powder. 4. Add jaggery and grind again. 5. Combine this with the ragi flour and mix well. Add ghee if required. 6. Shape the mixture into small laddus and keep aside. 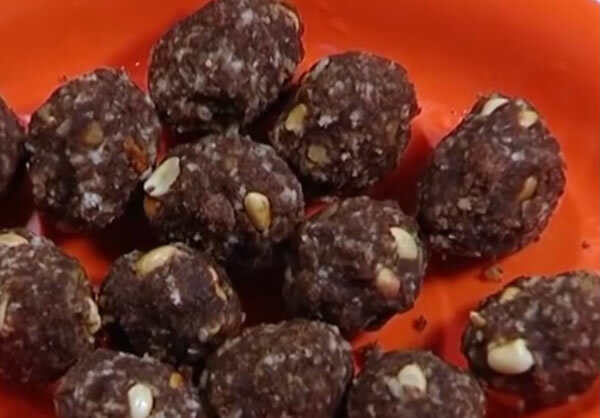 Feel free to comment or share your thoughts on this Ragi Laddu Recipe from Awesome Cuisine.